Bandwidth-on-Demand Bonding Internet Router uses unique bonding, load balancing and failover technology to ensure bandwidth robustness and network survivability. 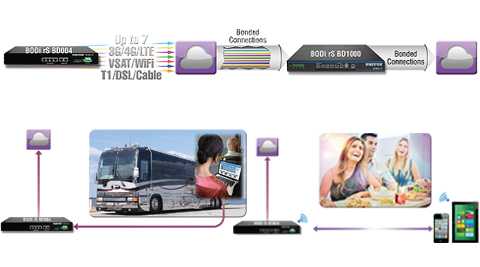 All this combined with IPsec VPNs and WiFi mesh capability makes BODi Bonding Routers the ideal fixed or mobile solution for secure, seamless network connectivity and backup.Broadband Bonding appliances enable cost-effective and self-healing Internet access for businesses, enterprise branch offices and other multi-tenant buildings. Load balancing and intelligent Software Defined WAN orchestration of multiple Internet access lines increases Internet performance and boosts reliability thus by providing a quick Return on Investment (ROI) and lower operating expenses.